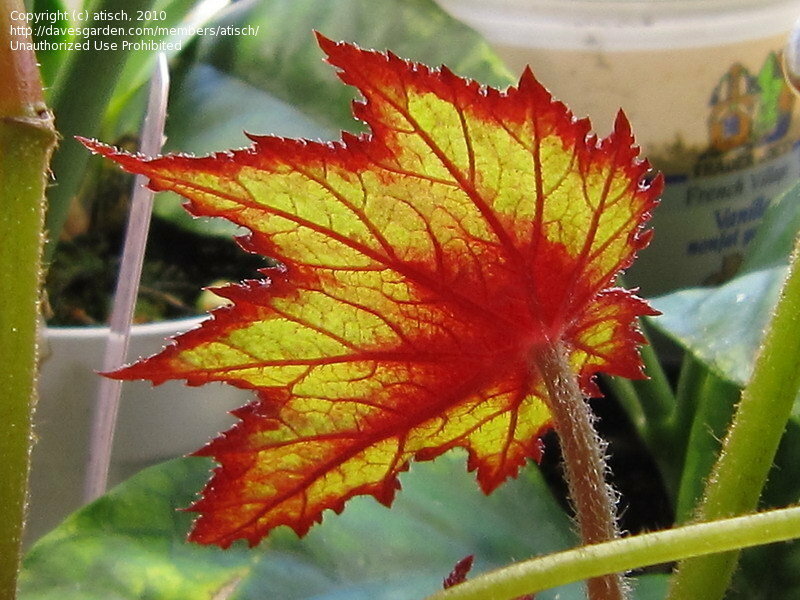 Front-lit leaf from the back--a different perspective. 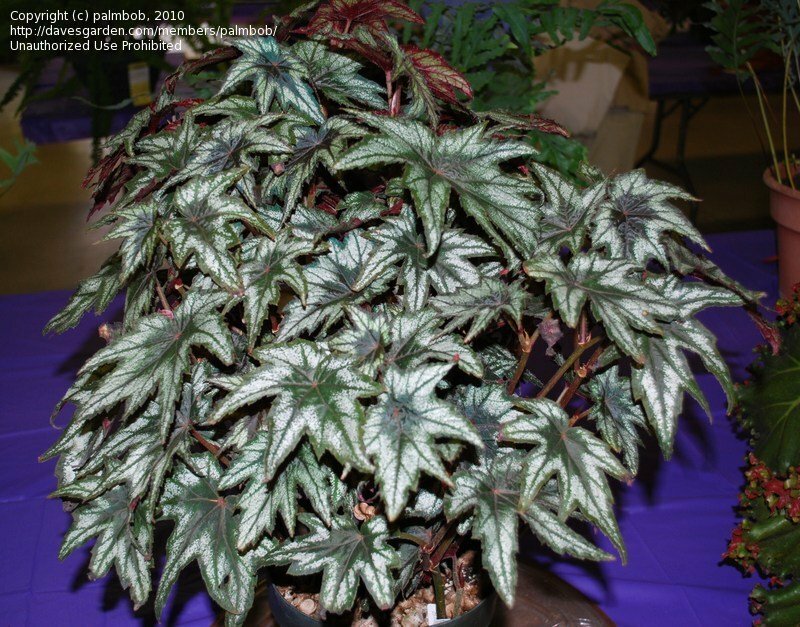 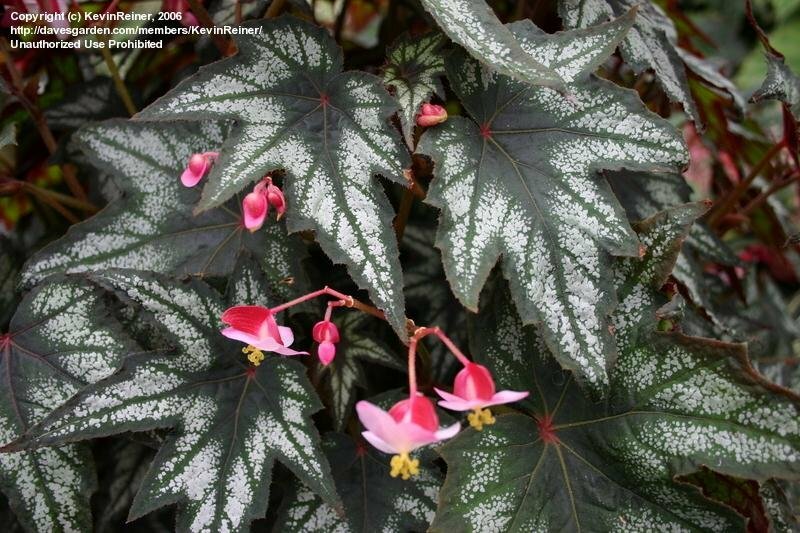 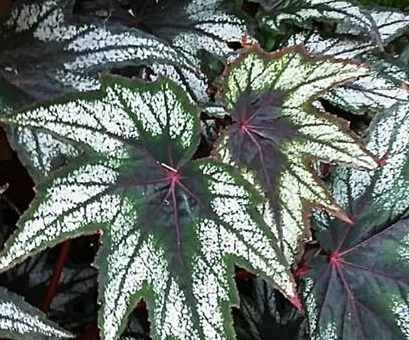 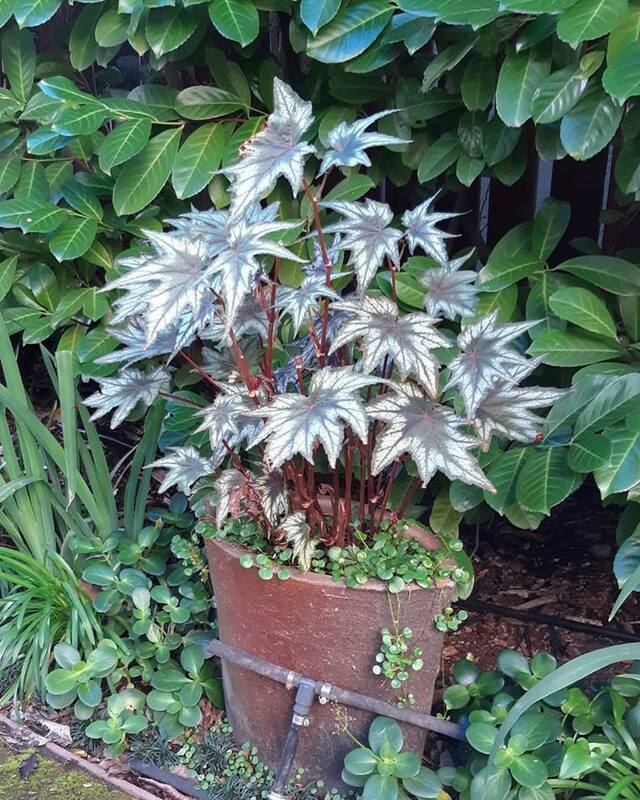 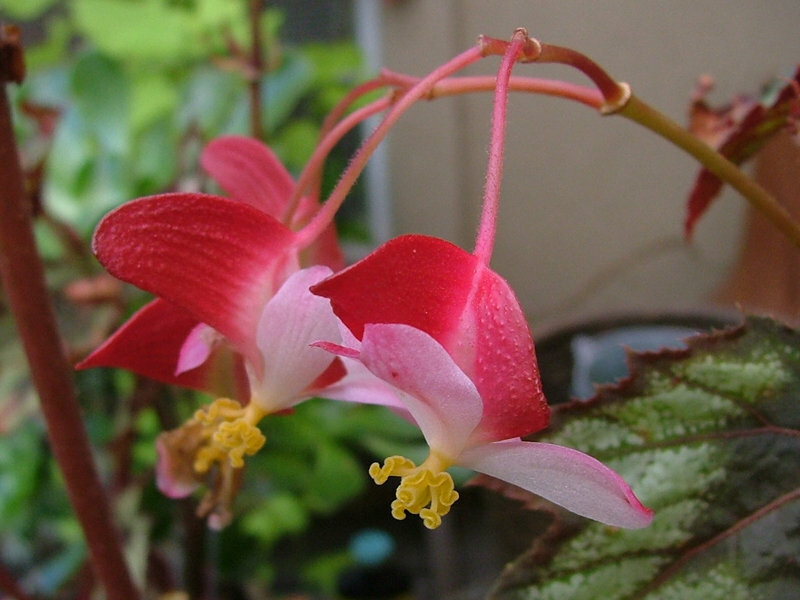 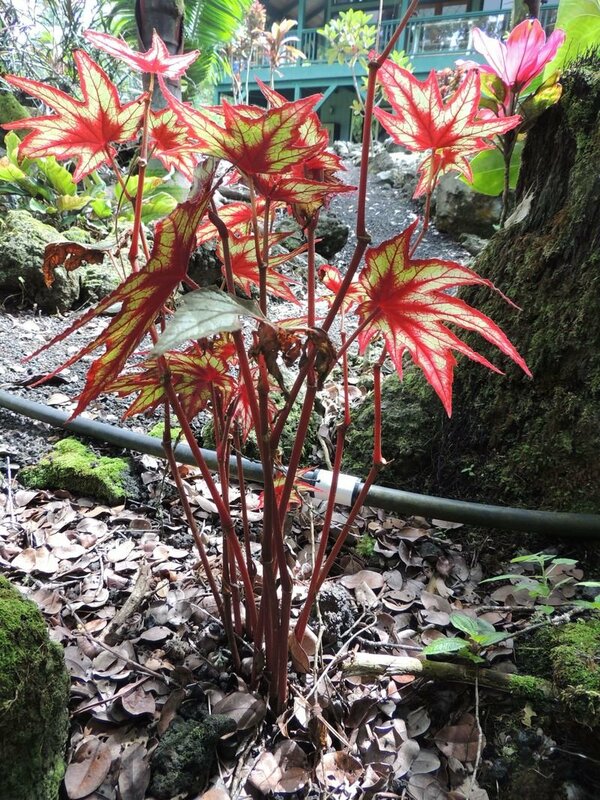 Intensely ornamental, “Little Brother Montgomery” (named for blues pianist & singer Eurreal W. Montgomery) may be the showiest & most colorful Begonia we’ve ever seen! 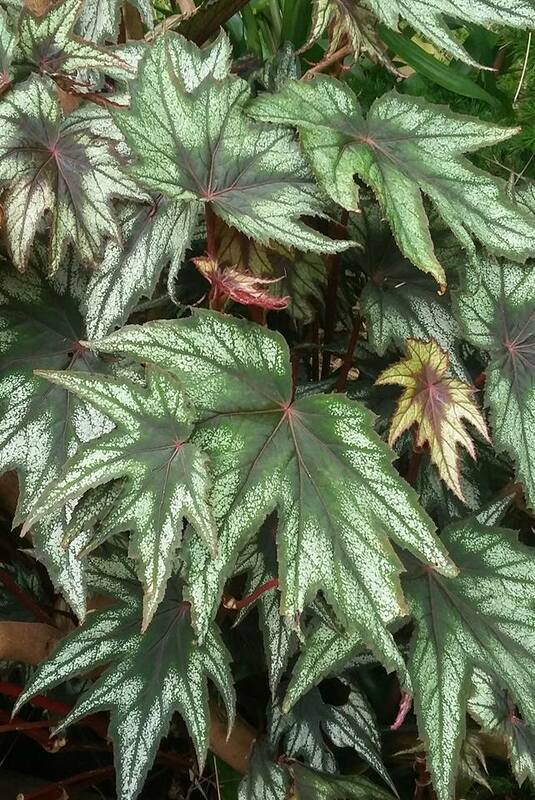 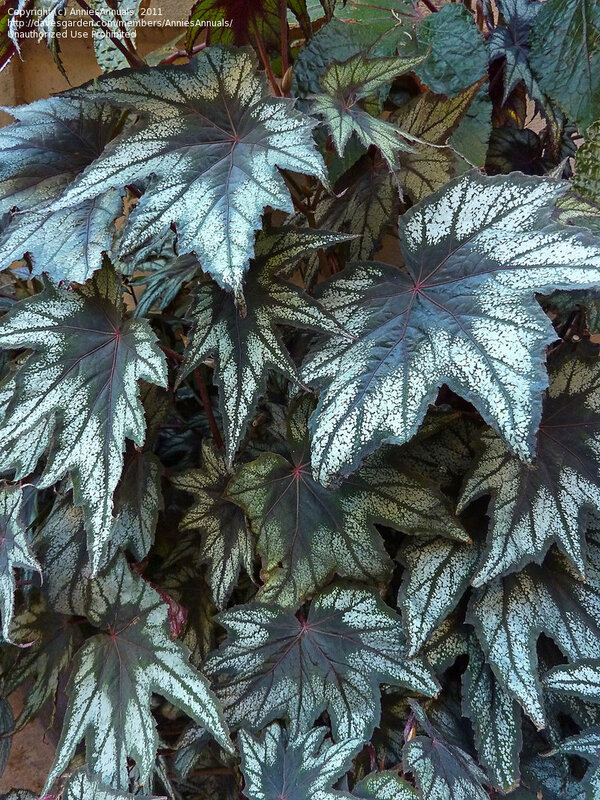 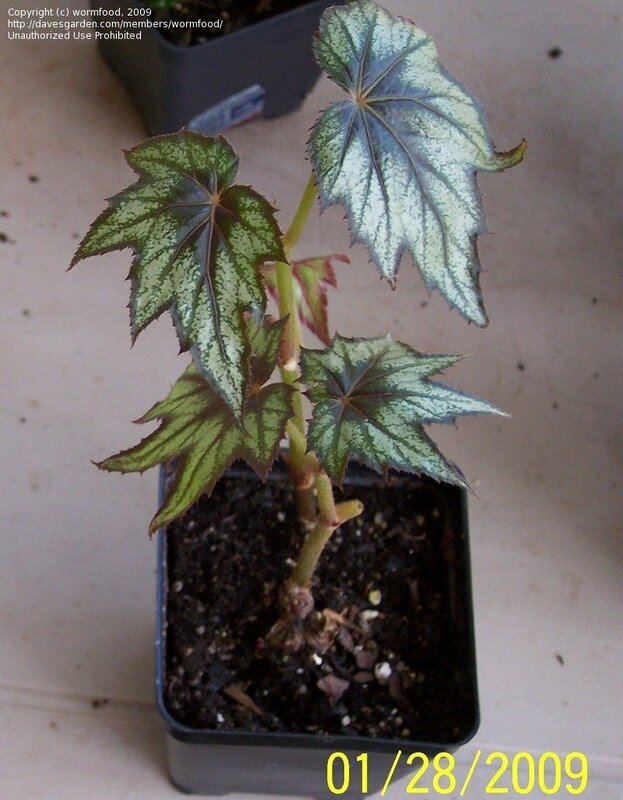 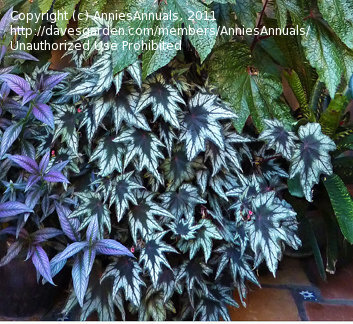 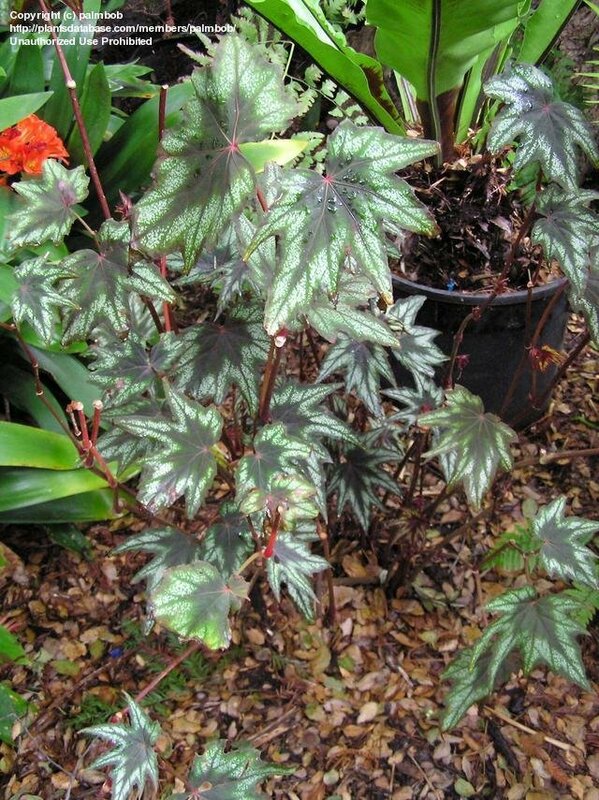 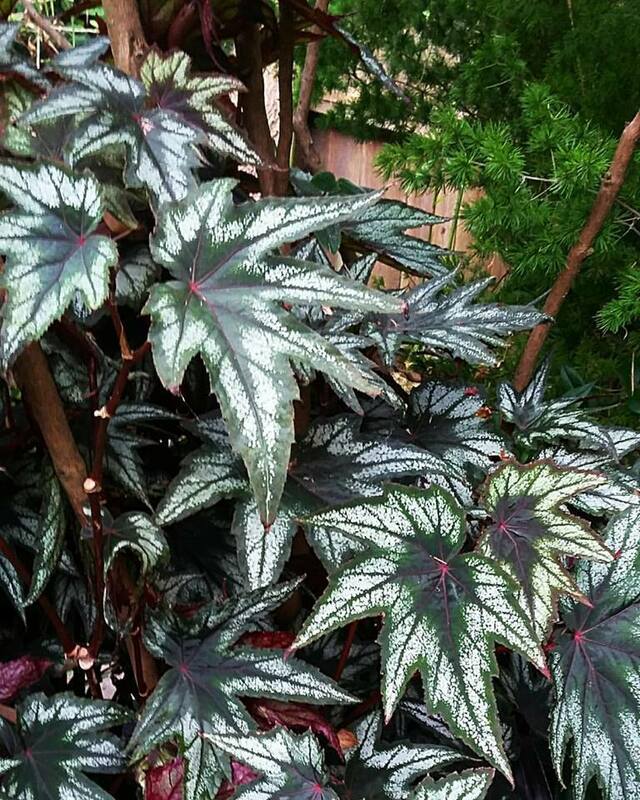 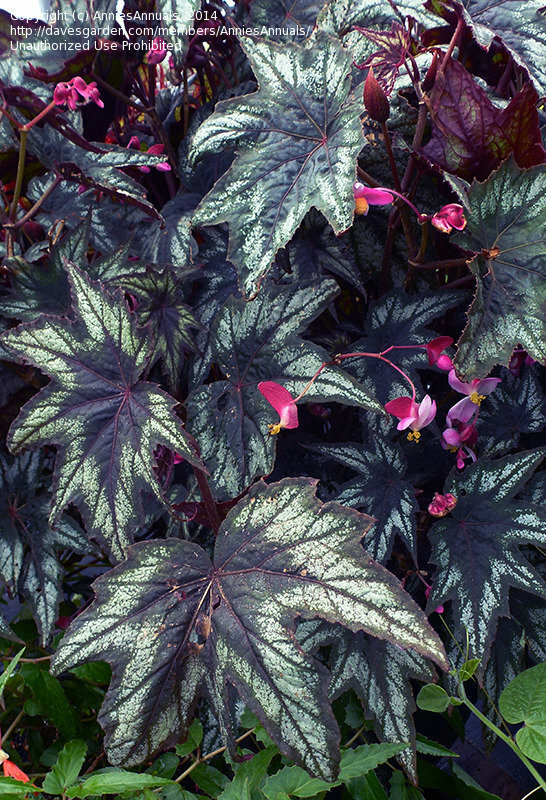 Veined & edged in purply-blue-bronze, the star-shaped leaves are stunningly spattered in brightest silver. 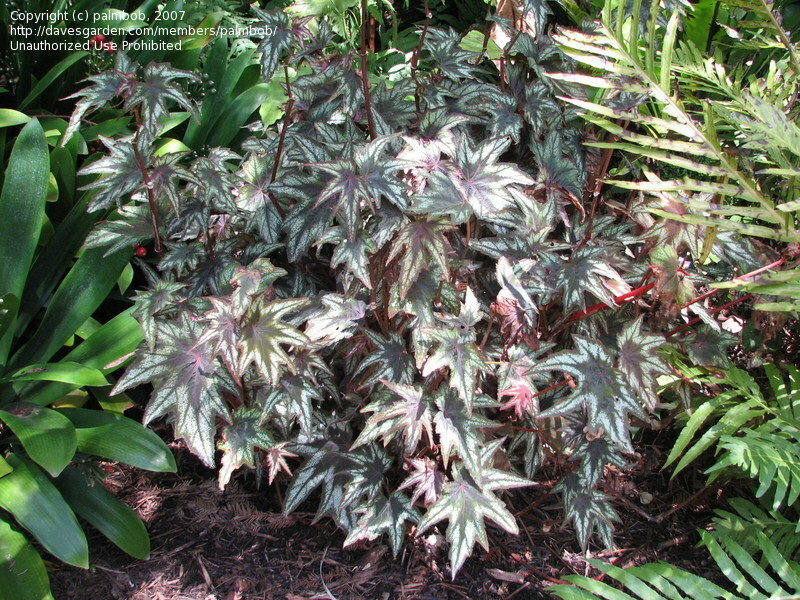 Bushy in habit, it can grow up to 4’ in the ground.